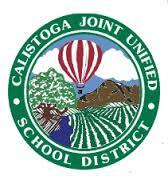 Having a partnership with NapaLearns and the Napa County Office of Education gives Calistoga Joint Unified a distinct advantage. These partnerships allow us to have access to research and technology tools, opportunities for professional development, and support. A library learning commons will provide an opportunity for Calistoga schools to partner with several organizations. After school peer tutoring services are already available at the junior/senior high library. The school libraries support the Calistoga Public Library's child and teen summer reading programs. Partnering with a higher education to share instruction ideas and resource information will give high school students a head start on higher academic research strategies as they enter college. The possibilities are endless as long as we have sufficient staffing and support from administrators and school leaders. Next steps? As we bridge the gap in teaching digital literacy and information literacy in Calistoga, we are headed toward mastering global literacy, which is possibly a Capstone project for another time. There are three literacies in 21st Century learning: Digital, Media, and Global. Here is Heidi Hayes Jacobs, President and Founder of Curriculum 21 on how to create globally connected teachers. The results of my research clearly reveal that teachers are in dire need of a clear and concise digital literacy curriculum that addresses information literacy, digital citizenship, research strategies, and critical thinking as students work in collaborative groups. As a result, teachers in Calistoga will be provided with a K-12 scope and sequence of digital literacy, ideas for innovative learning, and support by the teacher librarian in a coaching role. Next year our school is planning to be a part of EDTech Challenge to help us move together as a district with a shared vision toward technology. As teachers we are all learners, and we are all in this together. I hope to develop relationships with teachers based on trust that will allow me to team-teach and to accommodate personalized student-centered learning. The traditional school library setting must be changed to accommodate students and teachers in ways that will created a whole-school learning environment that can be enjoyed and utilized for all types of learners. The learning commons model will be adopted within the next two years. This model will provide a 24/7, open space without confining walls and closed doors. Here teachers and students can communicate, collaborate, think critically, and create innovative products that will provide lifelong learning in a global environment. Hopefully we can blaze the trail for other schools and become collaborative partners across the Napa Valley and in the state of California to send the message that school libraries are not only important, but essential to student learning. Visit Napa County Libraries' website, create a SNAP account, and grab a cup of tea. The ebook collection, online magazine collection, and database selections will provide a plethora of resources and reading enjoyment in a one click, easy to navigate setting. I would like to offer a special thanks to Kate MacMillan, mentor, colleague, and friend for her support and her passion for school libraries. Kate MacMillan is Library Services Coordinator and Digital Resource Project Manager at Napa Valley Unified School District and Napa Valley School Library Consortium. Her office provides library services to a 35 K-12 school library consortium representing three school districts, the local County Office of Ed’s curriculum library and three private/parochial schools. Kate has been a public library commissioner and currently serves on the California Department of Education’s Recommended Literature Committee. She is also a board member for the local public access television station.